The 2018 Community Shield pits last season’s Premier League champions Manchester City against FA Cup holders Chelsea. Who will win Sunday’s annual curtain-raiser? Read this post if you're looking for the most accurate Chelsea vs Manchester City betting preview with betting tips, predictions, lineups, team news, odds, bookie promotions and no deposit free bets on this clash! First silverware for new Chelsea manager Maurizio Sarri? Chelsea could only manage fifth place in the Premier League last term, finishing 30 points behind Manchester City, but earned another trip to the national stadium by edging out Manchester United 1-0 in the FA Cup final. They have started their pre-season with a narrow win over Perth Glory and a 1-1 draws against Inter Milan and Arsenal in the International Champions Cup. The Blues have lost out on each of the last four occasions they have been involved in the Community Shield. Summer signing Jorginho will be the playmaker while the youngster Hudson-Odoi will retain his starting berth in the front trio alongside Spanish duo Pedro and Alvaro Morata. In midfield, the likely starting trio could be completed by Ross Barkley and Cesc Fabregas, altough Ruben Loftus-Cheek has returned to full Chelsea training and is pushing for a start. Willy Caballero should start between the posts, as Thibaut Courtois is set to leave the club. The likes of Davide Zappacosta, Antonio Rudiger, David Luiz and Marcos Alonso will form the four man backline. Few teams have dominated the Premier League in the manner that Man City did last season. They finished 19 points clear of second placed Man UTD and also broke a number of records, including most points, most goals and the longest-ever winning streak. The Citizens have not lost anyone important from their starting XI and even got Riyad Mahrez to join. Anyway, Pep Guardiola's men come into this match after suffering International Champions Cup losses to both Borussia Dortmund (0-1) and Liverpool (1-2), and 3-2 victory over Bayern Munich last Saturday. In terms of direct encounters, City won 1-0 home and away to the Blues last season. The Citizens also won 3-2 when the pair locked horns in the 2012 Community Shield at Villa Park. Guardiola has admitted that he has no issues with fielding some of the younger players against Chelsea at Wembley. The likes of Ederson, Ilkay Gundogan, Fernandinho, Gabriel Jesus, Vincent Kompany, John Stones, Nicolas Otamendi, David Silva, Fabian Delph and Sergio Aguero all returned to training with the first-team, but match fitness for all of them has to be an issue. Bernardo Silva bagged a brace against the Bavarians last time out and is expected to lead the line alongside Ryiad Mahrez and Leroy Sanè. The former Leicester CIty star could start Sunday's clash despite picking up an ankle injury in Man City's pre-season win over Bayern Munich. Chelsea (4-3-3): Caballero; Zappacosta, Rudiger, David Luiz, Alonso; Jorginho Fabregas, Barkley; Pedro, Morata, Hudson-Odoi. Manchester City (4-3-3): Bravo; Bolton, Laporte, Eric Garcia, Zinchenko; Douglas Luiz, Foden, Diaz; Mahrez, Sane, B. Silva. BetAndSkill tipsters strive to provide you with the best prices on all the matches we analyse, and this section shows the best odds on Arsenal vs Chelsea match winner market (90 minutes). Looking for enhanced odds to boost your profits? Visit our price boost offers page! Wanna know which bookmakers have the best odds on average? Read our odds comparison analysis. The Community Shield is the first official game of the season and is very hard to predict, as teams have plenty of absences and form is not 100%. Looking for reliable predictions? Find below our recommended bets, shared after a careful analysis of latest results, team news, statistics and previous head to head information. Stay tuned with BetAndSkill and receive tons of exclusive free bets. 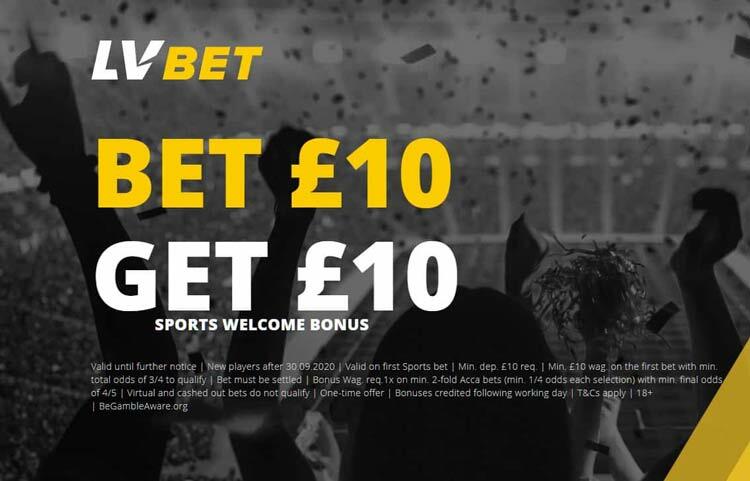 As a new customer and with the new Premier League season just a couple of weeks away, there should be plenty of promotions and special offers for you to take advantage of. Looking for the sports betting strategies? Read top-notch resources such as To Win Both Halves Betting Tips, To Come From Behind and Win Betting Tips, Both Teams to Score in Both Halves Odds, and many more! "Chelsea vs Man City betting tips, predictions, lineups and odds (Community Shield 2018)"